Home / Portfolio / Sudhanshu Hospitality & Management Services Pvt. Ltd.
Sudhanshu Hospitality & Management Services Pvt. Ltd. has been established for over 5 years in offering Hospitality Services. The organization has been one among the leaders in the Catering with a strong commitment to deliver quality services to the customers. Sudhanshu Group is providing the Catering Services in a various sectors likes Business, Industry and Corporate Events, etc. We provide the services solutions right from industrial canteens to providing fine dining services in executive cafeteria. 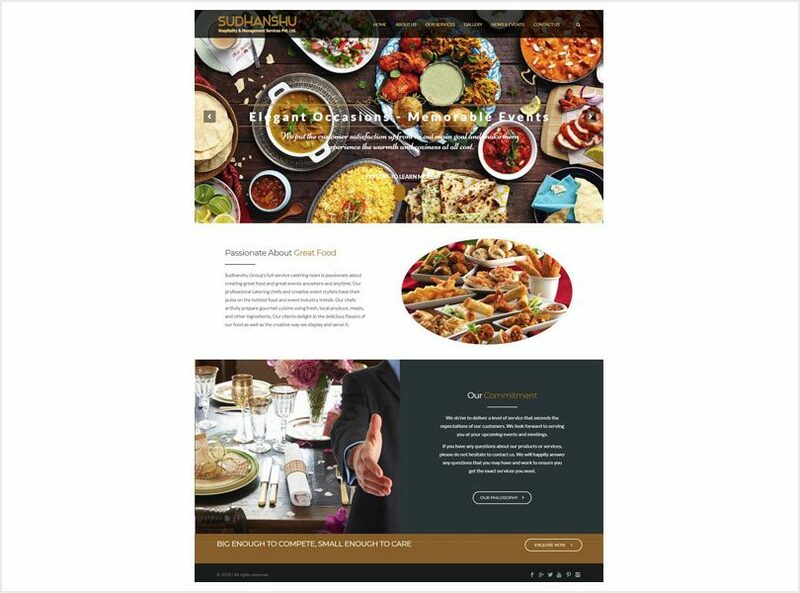 Sudhanshu Group, the health orient food service concern, successfully catering to reputed, institution and corporates in Mumbai, Navi Mumbai and Thane District. Considering the monotony existing in the most catering contracts, we provide a wide variety of tasty and nutrition menus for breakfast, lunch, dinner, snacks and midnight snacks sessions. We possess an unrivalled depth of experience in our field and believe passionately in delivering quality. We simply love what we do and we do it best. Sudhanshu Hospitality & Management Services Pvt. Ltd. has been one among the leaders in the Catering with a strong commitment to deliver quality services to the customers.